CARSON CITY — Intriguing towns, oddball attractions and miles of all-to-yourself highways make the case for Nevada as the road trip capital of the United States. The new Nevada Visitor’s Guide supports that claim with itineraries for 10 adventure-filled road trips, from the Death Drive to the Loneliest Road in America. The guide also debuts a fresh, icon-based format for ease of use, a new “Nevada Inspirations” section and a QR code linking to a video of rock climbing in Rainbow Canyon. 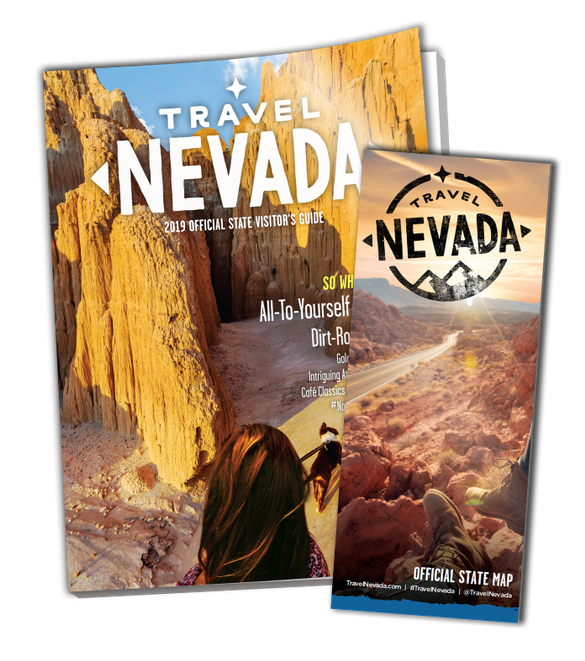 Get the free, 124-page guide at visitors’ centers, airports and hotels throughout the state, or order it online at TravelNevada.com. Choose your own Nevada adventure: look for icons indicating specialized content on such topics as food, adventure or “new to the scene,” among other categories, to plan your trip. Gain insight into the state through stories of retro Las Vegas (courtesy of former Lt. Gov. Lorraine Hunt) and tales of famous former residents (Mark Twain and Wyatt Earp among them) in the new Nevada Inspirations section. The guide also serves up information on quirky attractions, ghost towns, state museums, arts and culture, outdoor recreation and more. The Nevada Division of Tourism (TravelNevada) is part of the Nevada Department of Tourism and Cultural Affairs. It is responsible for promoting and marketing Nevada as a travel destination to domestic and international travelers. Operating within a performance-based budget structure, TravelNevada is funded solely by a percentage of lodging tax paid by overnight guests throughout the state. For more, visit TravelNevada.biz.